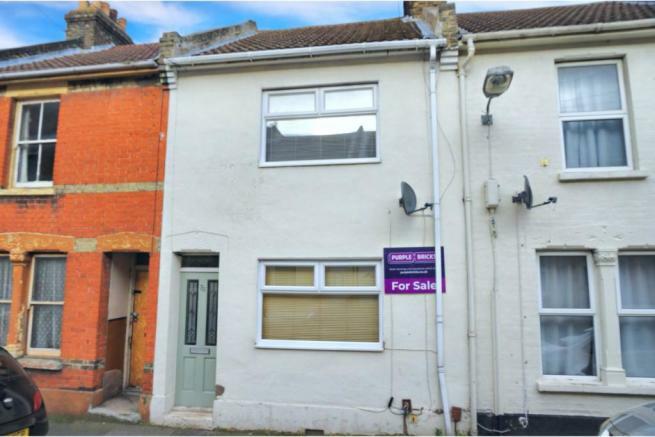 Realistically priced for a quick sale as onward chain is complete, Purple Bricks are delighted to offer to the market this stunning two double bedroom terraced house benefitting from a separate upstairs bathroom, open plan lounge/dining area and beautiful finish throughout. On the ground floor the property comprises entrance porch, large lounge/dining room with access to cellar, kitchen, rear porch and utility room/W.C. Upstairs there is a very large master bedroom, another double bedroom and stunning family bathroom. Outside there is a small rear garden of approximately 25ft. This is a fantastic opportunity for any first time buyer looking for a substantial home with no work needed or any buy to let investor looking to add 0to portfolio. The property is ideally located close to local amenities including shops, schools and supermarkets and with Chatham town centre and Train station so close this property is sure to generate a lot of interest so please book your viewing online today. Disclaimer - Property reference 556717-1. The information displayed about this property comprises a property advertisement. Rightmove.co.uk makes no warranty as to the accuracy or completeness of the advertisement or any linked or associated information, and Rightmove has no control over the content. This property advertisement does not constitute property particulars. The information is provided and maintained by Purplebricks, covering Meridian. Please contact the selling agent or developer directly to obtain any information which may be available under the terms of The Energy Performance of Buildings (Certificates and Inspections) (England and Wales) Regulations 2007 or the Home Report if in relation to a residential property in Scotland.